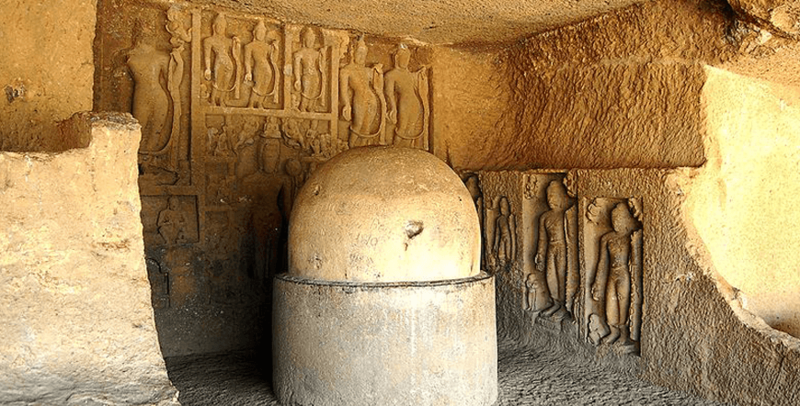 Kanheri Caves , ensconced in the lush forests of Sanjay Gandhi National Park, Borivli, the 109 rock cut caves are considered to have some of the finest carvings in India, date right back to200 BC & 600 AD. 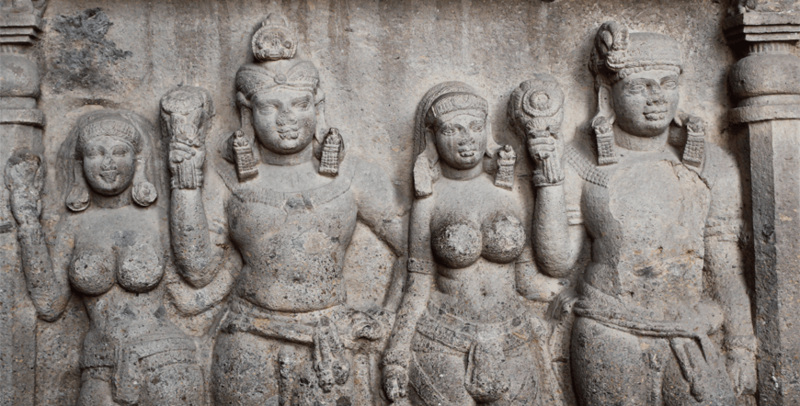 Regarded as one of the world's great religious sites, 20 foot Buddha image, the 11-headed Bodisattva & the Nagaraja, an ancient pre-Buddhist serpent king are stunning artifacts, a sight to behold! These caves have an elaborate drainage system that channels excess water from the monsoons to the nearby Vihar, Tulsi & Powai lakes which in turn supply water to Mumbai. 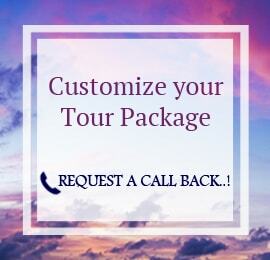 At the end of the tour, return back to the hotel/airport/port with good memories. 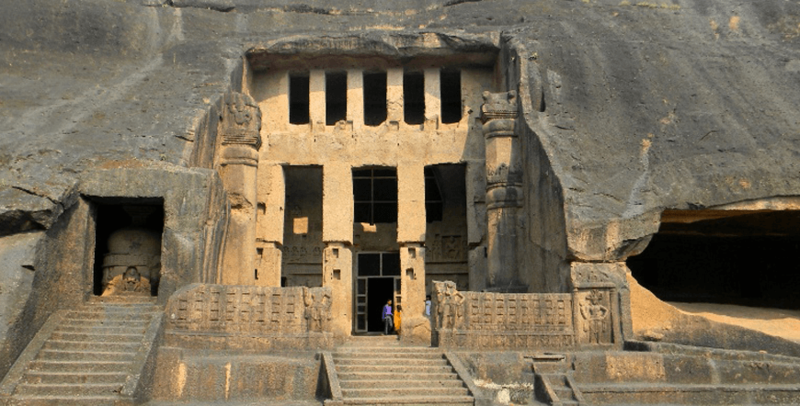 Visit to the Kanheri caves will be a day long trip. Kanheri caves is located north of Mumbai, was a major Buddhist centre. Kanheri is located in the island of Salsette and 6 miles from Thana. The caves are excavated in volcanic breccia, the hills rising at places to 1550’ above mean sea level. 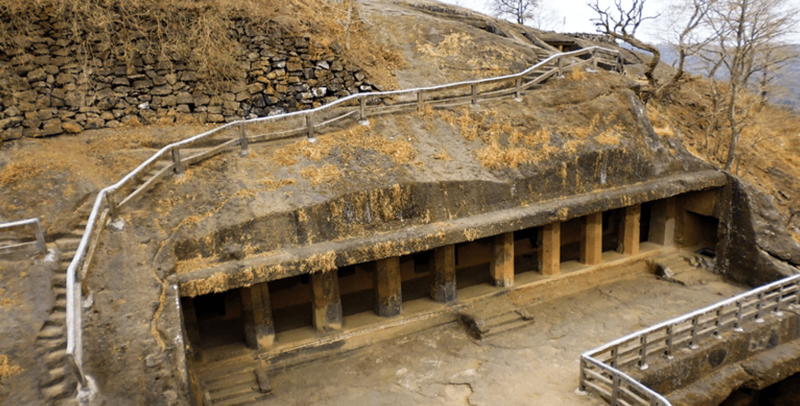 Kanheri is credited with the largest number of cave excavations in a single hill. To the west is the Borivili railway station and across the creek is the Arabian Sea. Kanheri thrived due to its proximity to ancient sea port towns like Sopara (Surparaka, the Supara of Greek; Subara of Arab writers; the ancient capital of northern Konkan), Kalyan a thriving port; Chemula, the Samylla of Greek geographers, Chemula of Silaharas, on the island of Trombay; the other ancient localities nearby were Vasya, perhaps Vasai or Bassein; Sri Staanara or Thana; and Ghodabandar. It is generally believed that Buddhism first arrived in Aparantha (Western India) at Sopara which is very close to Kanheri. The caves were excavated as early as mid 3rd century B.C. and were in occupation right up to 11th century A.D. They were mentioned by early visitors like the Portuguese in the 16th century A.D. and other travellers and voyagers of Europe. 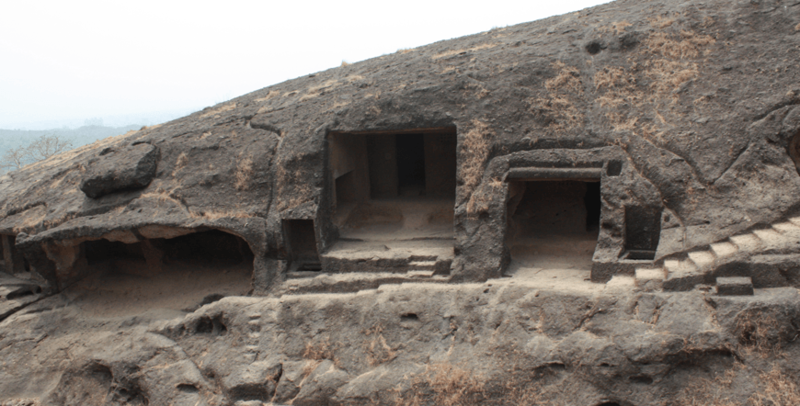 The Buddhist establishment at Kanheri has an interesting evidence in the form of small structural stupas built on the floor of some of the caves. Such stupas were noticed in Caves 33, 38, etc. These stupas often contained large number of clay tablets inscribed in 10th century A.D. characters of the Buddhist creed. Another notable feature is the presence of a cemetery located on an isolated and secluded terrace. Here both stone built and brick structural stupas are found erected on the charred remains of distinguished monks. Camera/video fees at the site. Don't visit on public holidays to avoid crowds. Wear comfortable footwear with good grip because of the rocky surface.